Linda Marson Interviews Mary on Using Lenormand Cards. 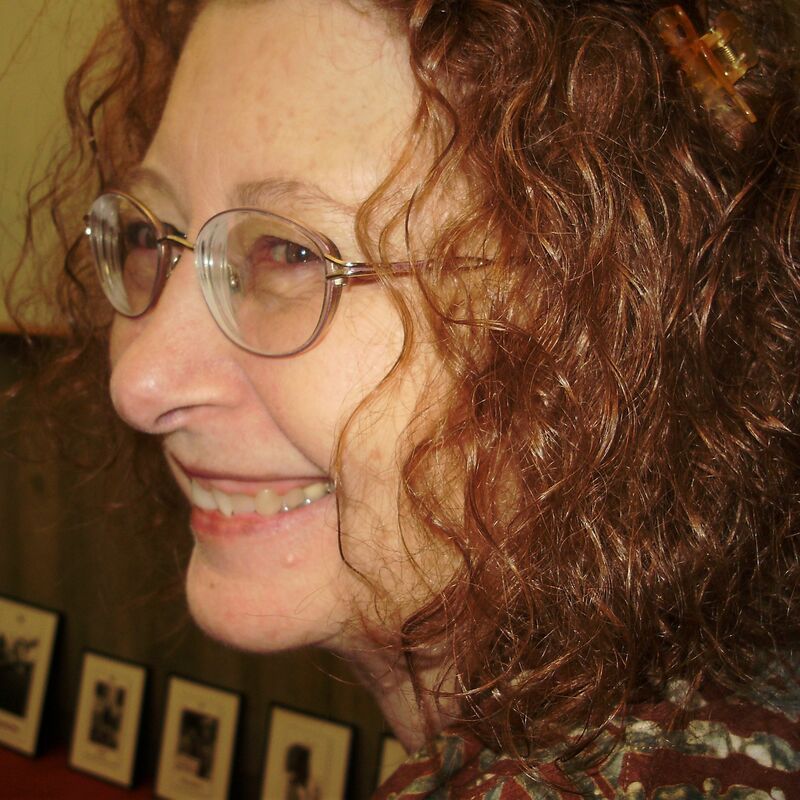 Linda Marson: Internationally renowned Tarot author and teacher, Mary K. Greer, whose interest in the deck has led her down the path of teaching Lenormand, is a firm believer in the value of the traditional method. She’ll be teaching classes in Lenormand and the Tarot Court in Brighton UK, June 17 & 18, 2017. Click here for information. Mary K. Greer: The Petit Lenormand is a deck of 36 fortune-telling cards featuring simple images like a dog, house, and anchor. It first appeared in the 1790s in Germany, and was redesigned in 1845, soon after the death of the French fortune-teller, Mlle. Lenormand. The German publisher simply co-opted her famous name for promotional purposes as was common with occult and fortune-telling works. Although Mlle. Lenormand used a variety of card decks, she never created her own nor did she pass on her reading methods. Used primarily in Germany, Belgium, the Netherlands, Eastern Europe and France and known in the United States in the 19th century, Lenormand cards didn’t achieve the wide-spread popularity in English that Tarot did until very recently. Mary: The Lenormand deck originally came with a single sheet of instructions containing specific card meanings and a single spread using all the cards. Translated into half-a-dozen languages, this sheet was included with every deck until quite recently. The pictures are emblems with specific meanings, rather than symbols with infinite ones. Thus, the meanings and method are clear, well-known and still used today. These meanings focus on general areas of danger and difficulties and of pleasure and success in one’s mundane life with no metaphysical content. They best address questions about what has, is, or will happen, like the plot of a story. Among other things, they can also help with describing people and finding lost objects through identifying particular clues to look for. Tarot, by contrast, was originally a card game. Divinatory meanings, techniques and occult symbology were added nearly 350 years after its creation. There are significant variations according to different authors. Each symbol on a Tarot card can have an infinite number of references held together by a broad, allegorical theme. Tarot is used as much or more for spiritual guidance and personal development as it is for fortune-telling. Mary: At heart is the idea that one can either read the cards by following a rigid system or by using the cards as a trigger to one’s own intuitive impressions or psychic messages. Psychic messages come from an external, non-physical source. Pure psychic (extra-sensory) information doesn’t need an external tool, except, perhaps as a focus, so one isn’t really “reading Lenormand.” Traditional and intuitive approaches aren’t mutually exclusive. The best traditional readers are intuitive! 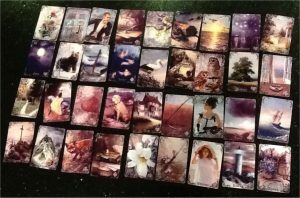 Cards from a Russian deck: the Lilac Twilight Lenormand. Madam Morrow’s Fortune Telling Cards (New York: McLaughlin Bros., 1886). Coffin+Man: a recent loss on the part of the querent. Coffin could indicate a simple “no, don’t hire the person” but might also point to the fact that the loss of one employee has necessitated the hiring of another. Modern referents have been added to the traditional ones in order to fill in the gaps and make the cards a little more concrete. But, while some variations occur, the core meanings should always show through. Man is still the querent. Cards to the left of Coffin show what is lost (money, health, etc. ), while cards to the right may indicate a new beginning. (Modern thinking has added the meaning of box or container to Coffin but that’s not applicable here.) Bear has accrued meanings of strength, power, authority and stored money (invested or saved), while keeping the warnings about envy and jealousy. He appears “hungry following a loss.” Additionally Bear can indicate one or both parents or grandparents (among other authority figures). Given a different question these cards might point to the loss of a parent; it’s worth checking. The subject is still Coffin; the next card modifies the subject, like an adjective, indicating financial loss or loss of strength. The Man (querent) needs to be careful as this new applicant is not a good risk. At worst, he might embezzle money from the firm or try to overpower the querent (be “overbearing”). This could go so many different ways, yea or nay depending on the story being told, so here’s just one possibility. A traditional short reading requires a quick survey of card keywords, integrating them into fresh concepts according to a syntax or structure, to determine a succinct, specific, concrete answer to the question. In addition to a full Grand Tableau, Lenormand works well as an adjunct to Tarot where a quick Lenormand layout can clarify things that came up in the Tarot reading. Mary: There are both websites and online study groups at Facebook (search on Lenormand) and several recent books in English (check Amazon for books and decks). Or, best yet, take my introductory course in Brighton UK on June 17!